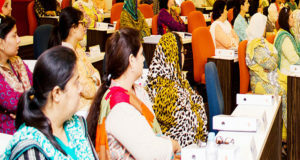 A galaxy of women, both from Pakistan and overseas, who have struggled against heavy odds and achieved enviable positions in their respective fields narrated their success stories at the Ninth International Women Leader’ Summit at a hotel. She thanked all those present for having brought all of them to this point of celebration. The event, she said, was meant to be a celebration to the contribution of these women. 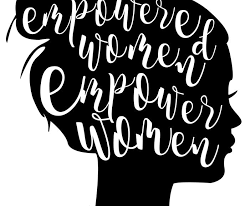 Hyder said, “We wish to bring respect, dignity, and empowerment to women.” Empowering women, she said, had dual benefits, firstly, to the nation, and then to society. “When we empower a woman, we empower a nation,” she said. Among others who spoke were Major-General Shehla Baqai, a gynaecologist and deputy head of the AMC (Army Medical Corps). With the help of video slides, she narrated her journey to her present post, starting with her studies. Highlighting her services in the army, she said that whenever the need arose, they were there and showed slides of army medical camps in disaster zones. The maternal mortality rate was high in Pakistan, she said and added that the country ranked sixth in the realm of maternal mortality. She also showed the video of twins born at an army medical camp, and also the army’s presence in Indonesia at the time of the 2004 south-east Asia tsunami and in Nepal. She ended her talk with the exhortation, “Educate your children”. 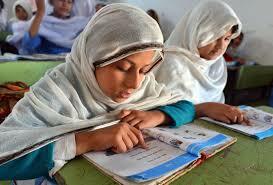 She regretted that gender parity had not reached the desired level in Pakistan. “Women can bring about parity today as they are achievers in every field,” she said. She lamented that only 3.3 per cent of women had achieved top positions. Aamir Niazi, CEO, HRSG People and Business Advisory, lauded the services of Dr Shamshad Akhtar and said that she had brought laurels to the country and done it proud. The forum, he said, afforded an opportunity to the public and private sectors. He acknowledged the constructive role of the armed forces. Since becoming a nation, he said, Pakistan had been beset with challenges. The three main avenues in which Pakistan had to pull up its socks were energy, economy and fighting extremism. He lauded the fact that another 1,410 megawatts of power had come to line and that the Karachi port’s capacity had been raised by 25 per cent. Digging into the past he lauded Pakistan’s acquisition of Gwadar from Oman in 1956. This was followed by a panel discussion moderated by Dr Mehnaz Shah, CEO, Eye Centre, and included Sagheer Mufti, COO, HBL, Pakistan, Abrar Hussain, CEO, National Foods, and Aamir Niazi. 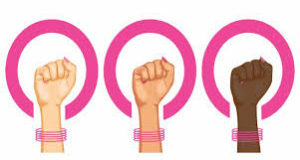 It was disclosed that globally 30 trillion being spent on transactions today was by women. Abrar Husain said that the organisational atmosphere had to be made more secure which would certainly spur greater participation by women. Italian Consul-General in town Anna Ruffino narrated her highly positive experience of Karachi. “Being a woman is always a challenge. We have to struggle for many things we don’t have. Saira Vohra, who won the swimming championships at the special persons Olympic in Beirut, also addressed the gathering. She is scheduled to represent Pakistan at the special persons Olympics in Abu Dhabi in March. She was escorted by Sarwat Gillani. She said that the special Olympics had been founded in 1989, with only 20 registered athletes. Today, she said, there were 28,000 of them. She said that it was heartening to see that parents in Pakistan did not have to “put such children away in a box”. The most-inspiring address in the post-lunch session was that of Air Force Group-Captain Mirat-ul-Ain Azizi. With the help of slides, she traced her journey from her student days at Karachi to her induction in the PAF and her ascent to her present rank. She is one of the first-ever batch of woman officers of the PAF. She has the distinction of serving as deputy-secretary to three chiefs of staff (about seven years) Her message was threefold: be strong and move on; accept challenges; and make your presence felt. In this context, she narrated an incident of a lecture where, after the lecture, she had to ask a question but was not seen by the speaker. She again put her hand up and was finally heeded. This, she said, demonstrated that one had to make his/her presence felt. The conference brought out a contradiction. While on the one hand, we hear all those complains about women being discriminated and not being given their due, and on the other, the conference featured such a galaxy of women who had achieved so much against social and cultural odds.